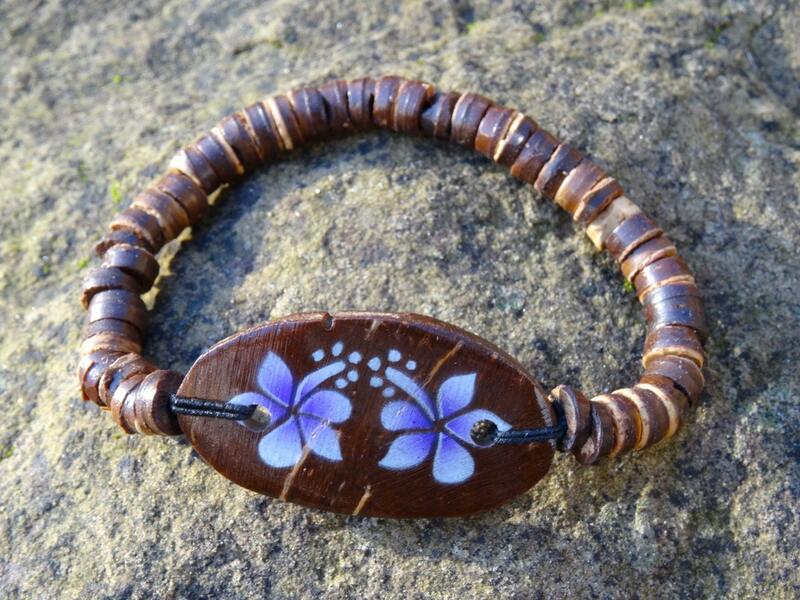 This bracelet is designed and handmade by us at Cupcakes & Chopsticks. This bracelet would make a perfect gift to either yourself or friends and family. It perfectly captures any memories of the sun, sand and sea of any breath taking experience allowing for them never to go away. 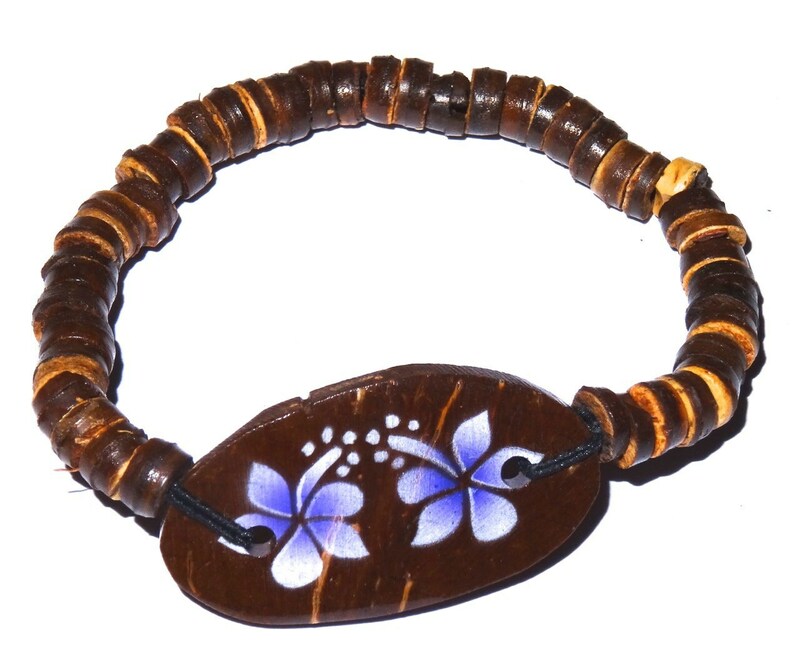 There are two beautifully delicate hibiscus flowers painted on a central coconut disc and sealed with a varnish, the bracelet is then completed with sections of stunning coconut discs. The central coconut disc measures approximately 2cm in height and 4cm in length. The bracelet is adjustable enabling a length from 18cm. It makes a beautiful natural statement. We chose coconut as it is a sustainable product and ours is a byproduct of coconuts of a family in Indonesia we met on our travels. We believe natural jewellery should exist in harmony with our world and not be taken at the expense of the planet. All of our jewellery is made to order by hand, so there may be extremely minor differences from the picture as each is individually made.